After a long day of waiting, we finally have the 2016 schedule for NYCFC. After starting the season in Toronto, the Boys in Blue come back to Yankee Stadium for a long stretch of four home games, including three in two weeks. 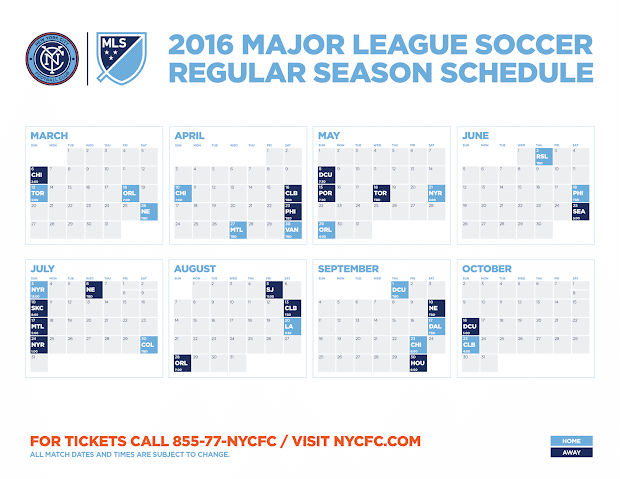 Between June 18th through August 20th, only two games at home. Brutal. That same period, they'll play seven games on the road. We'll close out the (regular) season at home against Columbus. 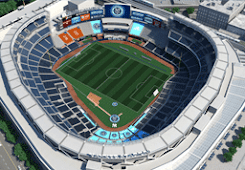 Couple new teams making their first trip to the Bronx: Vancouver Whitecaps (April 30th), Real Salt Lake (June 1st), LA Galaxy (August 20th) and FC Dallas (September 17th). Finally, that's a whole lotta "TBD" times. Fourteen games—more than half the schedule—have start times to be announced later. 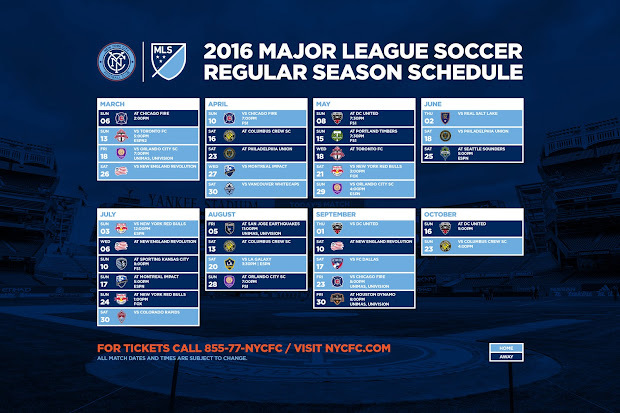 You can download wallpaper or a printable version from the club's site.